As we reviewed our chart on the best high-end amplifiers, we were pleased to see that not much had to change. However, we decided to add the cool boutique combo amp from Line 6 and Reinhold Bogner, the DT25 112. If you are reading this, chances are you’re a serious guitarist – and one who needs a serious guitar amplifier. Whether you’re a regularly gigging performer, a recording artist, or just a living room virtuoso, you have mastered your craft to the point that you require a top-of-the-line amp on which to practice and perform. One that delivers the tone, power and versatility that a $300 amp just couldn’t deliver. What are the Benefits of Owning a $1,000 Amplifier? The good news is that some of the best amps on the market come in at under $1,000, which – while still a considerable sum of money – isn’t a life changing amount. However, with your cash, you can indeed end up with a life changing amp! On this page we have compiled a list of the top eight amplifiers under a grand, including both tube and solid-state amps; heads and combos; units designed for metal and traditional tube amps that pack a classic, vintage sound. Let’s jump right in. An all tube-amp that is a synonym of reliability and consistency. Eddie Van Halen’s miracle head that packs a whole lot of heat. Awesome tube head that offers great, unique tone delivered with enough power. Proven recipe that is perfect for those who need reliable, rich tone. 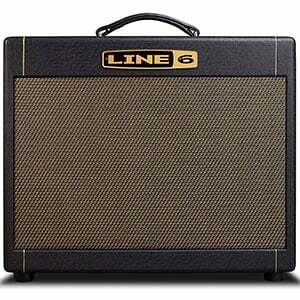 An awesome collaboration between Line 6 and Reinhold Bogner. A true triple rectified tone coming with a rather affordable price tag. Legendary Vox tube sound packed in a more flexible and versatile package. This is essentially a scaled up and beefed up Tiny Terror head. 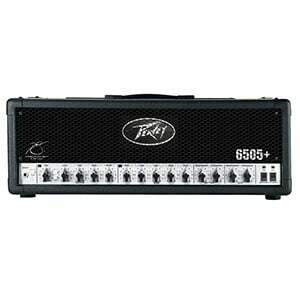 For over 20 years, Peavey 6505 has been the go-to choice for many metal bands and producers looking for a quality heavy tone. Fairly simple in design, Peavey 6505 offers 120 Watts of pure power that is being delivered by four 6L6 tubes in the power stage. The type of performance you can expect needs no introduction. Just put on any Machine Head album and you will hear it for yourself. On top its legendary tone, 6505 has been known as one of the most reliable and durable tube amps ever made. Whether you are touring the world or just playing gigs in your area, this amp will offer the kind of consistency that is becoming more and rarer. EVH’s 5150III shares the same roots as Peavey’s 6505. Compared to that amp, you’re looking at an extended range that brings a trademark Van Halen signature with it. This head is the smaller brother to the original 5150III and offers 50 Watts of power delivered by a full suite of JJ’s tubes in both preamp and power stage. It’s capable of pushing both the 2x12 and 4x12 speaker cabs, making it a great choice for studio work as well as stage use. Easy to use, aesthetically impressive, and simply awesome in terms of tone, EVH 5150III 50 Watt head is among the better amps in its category. If you’re a fan of heavy tone, this is the amp for you. In the world of tube guitar amplifiers, Hughes & Kettner holds a very special place. Their designs are often a bit unusual, but ultimately impressive both in terms of appearance and performance. Hughes & Kettner TM36H is one such amp that brings a flashy aesthetic paired with enough tube power to satisfy just about all of your needs. It offers three channels which include a clean, crunch and lead option. Tone shaping is done using two sets of passive three-band EQs and individual gain controls for each channel. With 36 Watts of power, this amp head will be a great choice for both home and gig use. All you really need is a decent speaker cab and you are good to go. In a world where most brands are racing to produce boutique tube heads, Marshall has decided to stick with their guns. Their DSL100H is the epitome of a workhorse tube head that packs just the right kind of power and performance. This thing features two channels, each with two modes of operation, essentially giving you four different flavors of tone. Its extensive EQ section allows for elaborate tone shaping while it also comes with a digital reverb. Offering 100 Watts, this Marshall is suitable for both studio and stage use. If you're trying to extract a heavier tone, cutting the output down to 50 Watts will get you a more saturated distortion. In simple words, this is a proven formula. The DT25 112 is an outstanding tube combo amp made by Line 6 in partnership with the legendary German boutique amp builder Reinhold Bogner. With a maximum output of 25 watts, it’s not the most powerful by itself, but it certainly has the tone and versatility to win diehard admirers. It features a sophisticated black and gold design, with simple controls and a voicing switch to select between four unique amp models. Tones range from smooth American cleans to fierce modern high-gain. As highlighted in the full review of the DT25 112, other features include easy connection to a cabinet, simple linking to a POD HD multi-effect system, and a built-in Low Volume Mode for quieter practice. Bugera's Trirec Infinium has delivered something that was considered to be borderline impossible not so long ago. They have created a triple rectifier amp head at a price which makes it a bargain. Trirec features three distinct channels, each with its own EQ section. With a power output of 100 Watts, you are looking at a true stage workhorse. One interesting detail is how Bugera achieved rectification. They give the user a choice to either use silicon diodes, tubes, or both. This way you can choose between tight and heavy tone and that loose saggy rectification we are used to. Those who are looking for a Dual Recto type performance on a tight budget will love what Bugera Trirec offers. Vox AC15C2 represents a continuation of what AC30 has begun a long time ago. This combo brings the same type of sound, the same aesthetic, and enough power to those who are looking for a proper vintage tube amp. The main difference between the C2 and C1 is the addition of an extra 12 Inch Celestion Greenback speaker. Having one more of these legendary transducers allows you to experience the full extent of Vox’s vintage cleans. On top of that, this amp also comes with a great reverb as well as the tremolo effect. In terms of vintage style tube amps, it doesn’t really get better than this. For a 15 Watt unit, AC15C2 offers plenty of volume to work with. 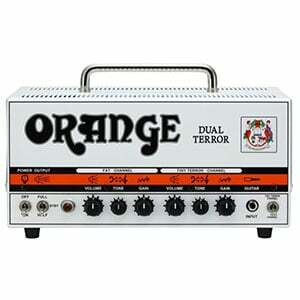 Orange Amplifiers Dual Terror is one of the most compact and most potent tube heads you can find on the market. They have taken the core of their legendary Tiny Terror series and scaled it up into a model that has more power. The amp is very simple in nature, which can be seen in its rudimentary controls. However, it brings you that trademark Brit tone which not many amps are capable of doing these days. With twangy cleans and gritty overdrive, you are looking at a very potent little box. Its 30 Watts of power make it a great choice both for a half stack setup to be used on a stage, or a capable studio recording tube configuration. Aside from the bragging rights, the benefits of owning a $1,000 amp are instantly apparent as soon as you plug it in – the power and the tone! On the subject of power, you will find that 100 watts or more is the norm in this region, which is enough for most gigging professionals. Performances with a 15-watt tube amp (as you may find in the sub-$500 region) are possible to some extent, but definitely not as professional or flexible as working with 100 watts of pure power. On top of this raw power, amps in this price range deliver an amazing tone. Most models will be tube amps, which deliver the full-bodied, organic, liquid tone that guitarists crave. You will find some solid-state amps too, which still deliver an excellent sound and are incredibly versatile when it comes to on-board effects, amp modelling and controls. While high-end premium amps can come in at a much more expensive price, this $1,000 range is where the perfect performance to price ratio is found. One thing you may notice – reflected in our chart – is that this price range is dominated by amps heads as opposed to combo amps. These heads offer huge power when paired with a decent cab, as well as providing gigging guitarists with a more convenient way to transport their amp. The deal with amp heads, as we just mentioned, is that they are just heads. Without a cabinet or another external speaker, they are pretty useless for performing. That means you will also have to factor the price of a speaker cab into your total budget. Of course, some amp heads come with features that allow you to plug them directly into your computer or a mixer, but you’ll need a speaker if you are gigging. Many venues will have their own cab or PA system you can plug into, but if not, you’ll have to buy, store and transport your own speaker cabinet. The other option is opting for a ‘grab and go’ combo amp – which is why we have included a few of them in our chart. The beauty of most amp manufacturers is that they often tend to release the same amp as both a combo and as a head, allowing you to buy the one that suits you. The models we have featured in this chart are some of the best amplifiers you can find for less than $1000. There’s more than enough choice in this price range but be extra careful in taking your time to buy something that’s right for you – a grand is a considerable chunk of cash. Good luck with your hunt for the perfect premium amp! 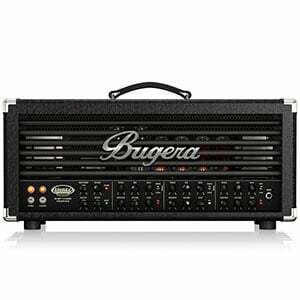 I gotta say, I feel like it’s a bit criminal to forget about the Laney Ironheart 120 and a bit wrong to mention the Bugera Trirec but not the Bugera 333xl. The Laney Ironheart is VERY well made and sounds great. It’s similar to the Iommi signature series but not quite as hot. (This is easily fixable with a Maxon OD 808.) I’ve loved mine for the last 3 or so years. In my opinion, the 333XL is a much more versatile amp than the Trirec with much better cleans. Just remember that the earlier models (identified by the blue jewel lights in the front) had a lot of problems. The newer models (identified by the red jewels) have been much much better in that area. I’ve had mine for quite a while and have kicked the snot out of it on the road and I’ve had no problems. What about Fender Amps ?